And now, many of them have AI assistants in their kitchens, GPS in their parents’ cars, and visions of the planet Mars digitally transmitted from a rover that’s working all by itself on the dusty surface of a far-away planet. All of these are different devices can be considered as some form of artificial intelligence, though true thinking machines are still in the future. We’ve certainly come a long way from R2D2 and C3PO being purely the work of science fiction! Kids are digital natives, working their devices with speed and proficiency the adults in their lives can rarely match. The world of artificial intelligence is a terrific opportunity for teaching kids to think critically and creatively about technology and the roles it plays in our lives. Not just because these programs and devices need human design, programming, and support, but also because the creativity and inspiration this field inspires can be very attractive to kids who are looking for ways to combine their love of gadgets with their natural curiosity about how the world works. This intersection between tech and real life is a very fun place to learn from! And one of the most fascinating aspects of the tech world in general and AI in particular is that we don’t know where this is all heading. What is the world going to look like when today’s fifth graders graduate from college? That question might never have been as unanswerable as it is today. You don’t need to dive straight into programming to start reaping the benefits of learning about AI—in fact, it’s useful to build a foundation of hands-on learning that will help support the more conceptual thinking that comes later. And remember, AI developed because someone asked really cool questions about machines, such as “Can machines think?” And what do kids excel at? Far-out, really cool questions. Let them loose with these activities! One of the first games AI researchers programmed a computer to play was tic-tac-toe. Have you ever played? It’s a game with simple rules and strategies. Think about how you might program a computer to play tic-tac-toe. How would you explain it to someone who doesn’t know how to play? How would you break down those instructions into simple moves? You’re going to write a program on paper that a person can follow. Remember, a program—also called code—is just a set of instructions to follow! In a notebook, define the problem. What is your goal? What does the code need to do? Do some research on the game. What are the rules of tic-tac-toe? (You probably already know this!) What are some strategies for playing? Play a game against yourself or a friend. Take notes on moves you make. What else do you notice? For example, do games always end in a tie? Are there squares that are better to start with than others? Now, write some code! Write instructions for one player, X or O, since you’ll be playing the other. Write out step-by-step instructions for winning a game. Computer code is often written in if-then statements. For example, if you were writing code for a maze game, you might write instructions such as this. Test your code. One player will be the human and the other will be the AI following the code. For example, the human player will put an X somewhere on the grid. The AI player should look at the instructions to see what to do. If you get stuck, take notes. What do you need to change to make your code work? Revise your code! You may have to test your code and revise it a few times. This is what real programmers do. Play one last time. Write down your observations. Did it turn out as you expected? Did the game end in a tie, for instance? Do you think the paper program is intelligent? Why or why not? Try writing an algorithm for another simple game, such as rock, paper, scissors! Robot designers often look to nature for inspiration. They’ve even designed robots that move, fly, and communicate like insects. For example, researchers at Harvard University designed RoboBee, a tiny bot that flies like a bee. You, too, can make your own bug-inspired bot! You’ll need a few special supplies, including a 1.5- to 3-volt mini motor, often called a hobby motor, as well as a AA single battery holder with leads, AA battery, and foam board. Attach the bottom of the battery holder to the flat side of the motor. Tip: Leave the contacts exposed so you can attach the wires! If you don’t have a battery holder, cut out a small piece of foam board, no wider or longer than the motor. Glue the foam board to the top of the motor. Then glue the battery to the motor. Unbalance the motor. Cut out and glue a small piece of foam board to the tip of the motor shaft. You can also use an eraser or anything else that unbalances the motor. Unbalancing the motor creates a wobble, which makes the bugbot move. Attach the wires from the battery holder to the leads of the motor. You can twist the ends of the wires onto the leads. Add legs! Cut out a small piece of foam board and glue it to the bottom of the motor. This will make it easier to attach legs. You can bend the ends of large paperclips and stick them into the foam board. Glue or tape them to make the legs more secure. Experiment with other materials, too. Decorate! You can add eyes or other items to your bugbot. Insert the battery—and let it go. The bugbot should vibrate and move. If not, try adjusting the legs or unbalancing the motor more. Take a picture or video of your bugbot and share it! Make another bugbot, but this time vary the design. What happens if you use something else for the legs? DEBATE THE GREAT AI DEBATE! Many tech entrepreneurs and scientists have been debating whether AI will be the end of us humans. Some of those experts include Elon Musk of SpaceX, Mark Zuckerberg of Facebook, Demis Hassabis of DeepMind, Larry Page and Sergey Brin of Google, Steven Hawking of Cambridge University, and Bill Gates, the founder of Microsoft. You’re going to find out more about both sides and then debate the issue. Do this with a friend or classmate or divide a group into two teams. Pick a side of the debate. Are you all in favor of AI or do you have some suspicions? Do some research. What is each expert for or against? What do they think might happen? What evidence do they cite? How do they back up their arguments? Write down your thesis and the best points/evidence to back up your argument. For instance, you might write: I think AI is _____________ because _____________, _____________, and _____________. Write down each of your reasons in more depth on separate note cards. What are the best reasons for the opposing argument? How can you argue against them? This is your rebuttal of the other side. Now, you’re ready to debate! Each side should take turns presenting its argument. Then, each gets a chance to rebut the other’s argument. Always be polite and respectful! Which side made the best argument? If you have to do this activity on your own, you can write a paper or make a speech presenting one side of the debate. 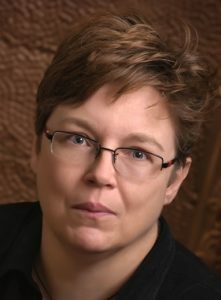 About the Author: Angie Smibert is the author of more than 20 nonfiction books about science and technology for kids. Some of those titles include Building Better Robots, How it Works: The Internet, All about Coding, and 12 Great Moments that Changed Internet History. 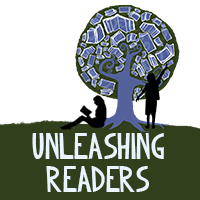 She also writes science fiction and fantasy for middle grade and young adult readers. Her novels include the Memento Noraand the Ghosts of Ordinary Objects series. Before writing full time, she helped pioneer online training at NASA’s Kennedy Space Center. She received NASA’s prestigious Silver Snoopy as well as several other awards for her work. Besides writing, she also teaches writing –and sometimes human-computer interaction—for Indiana University East. She lives in Roanoke, Virginia. About the Book: What is artificial intelligence? How is artificial intelligence going to change our lives? 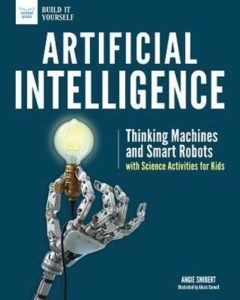 In Artificial Intelligence: Thinking Machines and Smart Robots with Science Activities for Kids, readers ages 10 to 15 learn how machines develop into thinking, learning devices that can help humans perform tasks, make decisions, and work more efficiently. They can even help us have fun! How can AI continue to improve our lives? Is there anything dangerous about AI? What are the ethical issues surrounding the use of AI? Essential questions, primary sources, and science-minded engineering activities let readers have a blast learning about the age of thinking machines we’re in right now. Thank you to Angie for this wonderful post as well as amazing activities for the classroom!